Curly Hair Artistry Membership Advanced training in the art, method, technique & business of wavy/curly hair. Welcome to Curly Hair Artistry! Curly Hair Artistry (CHA) is a community of curly hair stylist that specialize in working with all forms of waves, curls & coils. This is also a great place for traditional hair stylist (that specifically do not specialize in curly hair or they have less than 30-50% curly clients) to learn how to incorporate methods, techniques, artistry and to learn the business of how to achieve success in working with your clients that have all forms of curly hair. Some stylists are not interested in having 100% curly cliental - but they desire a goal of learning a foundational system for working with their curly clients to be able to provide a service for them. Curly Hair Artistry has training, coaching and mentoring for helping you achieve this goal. The 'curly world' is all over social media and is the fastest way to increase your business - and you can be apart of leading the way with your service and increase your income & retail sales as a part of helping your clients to embrace their hair. Our community is the place to be for learning from many of the best in the world that will share with you what they do to make their business a success. Curly Hair Artistry does not have a product line of shampoo's, conditioners and styling products - we are non-brand based and use a variety of independent manufactures to achieve our results. What is important to us is helping each other design a Personal Vision of why we do what we do - and then develop this as a form of Artistry and we can take this crafted vision in to our salon or a company. We have found that once you develop a strong personal vision, you will have values, principles and standards that are significant in helping you to achieve your goals. As you can see this is more than just cutting hair - it is a business mindset of empowering not only our clients, but each other as well. The mentoring aspect of building each other up is worth the cost of this course/training as it is much needed in our industry and Curly Hair Artistry is leading the way with helping you succeed not only in business but also in your personal life as it is integrated many times based on the many success stories we have already worked with. For now, CHA has 2 trainings a year for established members that we call "Symposiums" and we will be adding more courses that cover The Foundation's of working with all types of curly hair coming up soon. The CHA Pro Membership site will also have video based courses and content along with one on one coaching/mentoring and a variety of ways that we will connect as a community to help you achieve success in and out of the salon and behind the chair. 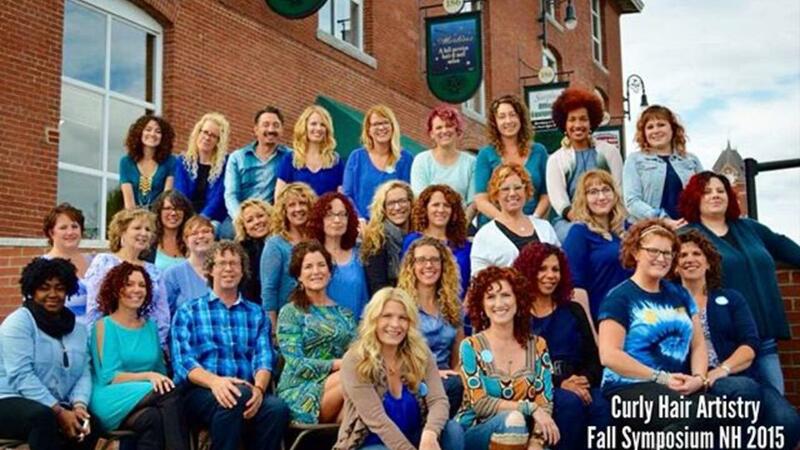 The photo you see attached to this blog is of the recent CHA Symposium that was in New Hampshire and it was a huge success with impacting our business and we look forward to your own journey of becoming a Curly Hair Artist.